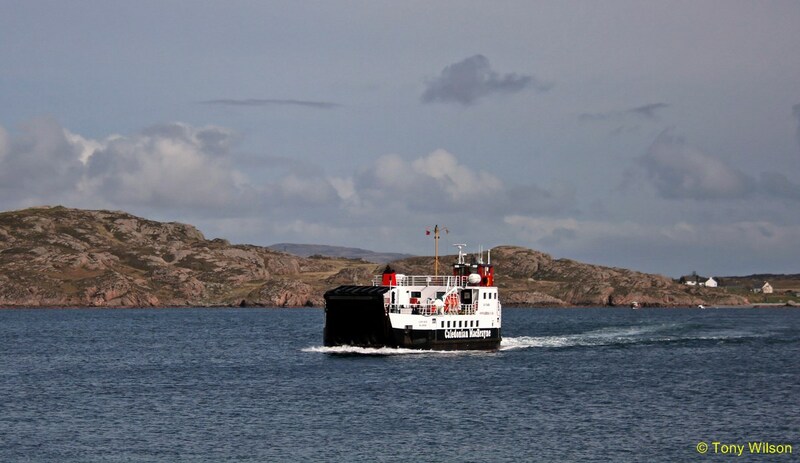 For the past few weeks, there has been a brand new vessel operating on the Stornoway-Ullapool route bearing a revered name from the annals of Hebridean shipping – the Loch Seaforth. 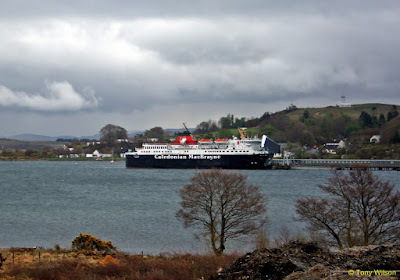 The livery is in the familiar red and black of Caledonian MacBrayne. By next year, on current trends, the Loch Seaforth and the rest of the CalMac fleet will be operated by Serco, a sprawling, debt-ridden conglomerate which was until recently debarred from competing for UK government contracts after being caught fiddling the taxpayer for £46 million. The story behind the Loch Seaforth is instructive. For the first time in the history of CalMac, the company is operating a vessel that is owned by a bank rather than by the Scottish public, with CalMac allowed to play no part in the design or commissioning. Instead, the Loch Seaforth was procured by the Scottish Government via a PFI deal. It is owned by Lloyds Bank and leased to a quango called Caledonian Marine Assets Ltd (CMAL) which sub-leases it to CalMac. It is a structure geared to privatisation with the identity of the operator irrelevant. The communities served by the Loch Seaforth did not support the idea of a single, larger ferry taking over the route and operating on a round-the-clock basis. Long experience has taught that ferries have a habit of breaking down, and over-reliance on a single vessel is a hostage to fortune. Local opinion was ignored by Edinburgh and CMAL, whose imperative was a deal acceptable to Lloyds Bank. CMAL is chaired by a Danish industrialist and its board contains not a single resident of the islands served by its vessels. The centralising Scottish Government does not believe in dissenting, local voices. Rhoda Grant MSP tabled questions about the Lloyds Bank deal. How much will the £42 million ferry actually cost the taxpayer? Who is responsible when things go wrong, as they surely will? With its usual contempt for Freedom of Information, the Scottish Government blocked them all as “commercially confidential”. Recently it was confirmed there will be a two-horse race to operate Clyde and Hebridean ferry services. The contract has been extended to eight years. If CalMac loses, the state-owned company will be dead and buried, which many believe to be the long-standing objective within the civil service, now rubber-stamped by ministers. They are already facing legal action over the Northern Isles ferry contract where a CalMac-related company was removed to make way for Serco. It has transpired that the CalMac bid was returned unopened on the basis of an alleged technicality and it was actually the lowest bidder. CalMac is forbidden from taking action but a third bidder is pursuing its own interest through the courts. The Clyde and Hebrides contract is much bigger, a £1 billion prize. It was due to be awarded in 2013 but the late Bob Crow of the RMT union threatened industrial action over unresolved issues of terms and conditions in the event of privatisation. It was not a dispute the Scottish Government wanted, so the CalMac contract was extended until the referendum was out of the way. Now the process has begun again, though it has been carefully timetabled so the outcome need not emerge until after next year’s Holyrood elections. Meanwhile, the “terms and conditions” have still not been settled, leading to a strike ballot in which CalMac’s employees have given 90 per cent support to industrial action. CalMac is between a rock and a hard place. It has a hefty pensions obligation which the Scottish Government has so far refused to include as a condition of contract. This would give Serco a massive bidding advantage over CalMac. Whether or not ministers will create a level playing field on pensions is a litmus test of the Scottish Government’s desired outcome. I have never believed it necessary to put these lifeline services out to tender under EU regulations. Along with the unions, I argued that case under the previous Lab-Lib Dem administration and, while it did run a nominal competition, it was structured in a way that resulted in no private company seeking to oust CalMac. This time, the exact opposite approach has been taken. As the STUC points out, the Scottish Government went to the European Commission seeking a derogation on length of the contract but “dodged the fundamental question of whether a tender competition is necessary in law”. As so often, EU regulations are used as cover for an agenda set by ministers and civil servants themselves. In the 2012 Ferries Review, then transport minister Keith Brown, in full Thatcherite mode, proclaimed that competition would bring in all sorts of innovative companies to create best value for the taxpayer. In fact, no such thing has happened. After the Northern Isles outrage, no other company has bothered taking on Serco, the Scottish Government’s privateers of choice. The Scottish Government had ample grounds to disqualify Serco which, at the time of pre-qualifying, had a negative balance sheet. It has now raised funds through a fire-sale of assets and a rights issue. But it has set up a special purpose vehicle to bid for the ferry franchise. The question of what substance stands behind it is one of intense interest to west coast communities. One of Serco’s first actions in the Northern Isles was to axe a loss-making crossing because it cost less to pay a penalty under the contract than it did to run the ferry. If the same accountancy principle was applied to west coast routes in the middle of January, there would not be many ferries sailing. I think it is safe to say that almost literally nobody in the west coast communities served by CalMac wants to see these services privatised. That is far from claiming that CalMac is perfect and it will continue to be the whipping-boy even when – as in the case of the Loch Seaforth – it is not responsible for decisions taken. But everyone knows that CalMac exists to serve fragile economies rather than to maximise profit. It employs local people on decent terms and conditions. In short, it is an integral part of the peripheral communities it serves. It is time to ensure the whole of Scotland knows how CalMac is being walked to the scaffold by our oh-so-left-wing government, before it is too late.